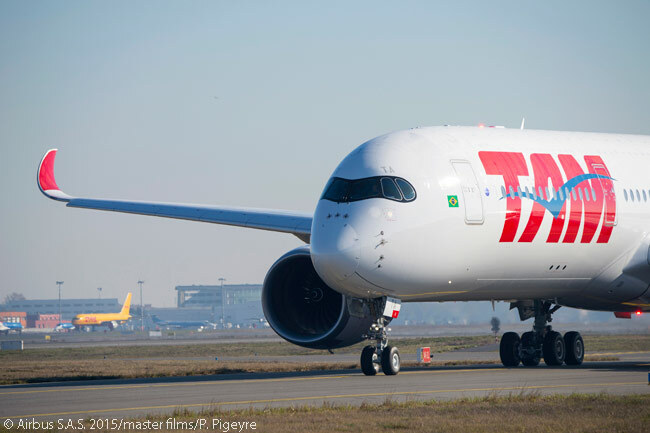 Brazil’s TAM Airlines will deploy Airbus A350-900s on its scheduled service linking São Paulo Guarulhos International Airport with New York JFK from July 23. 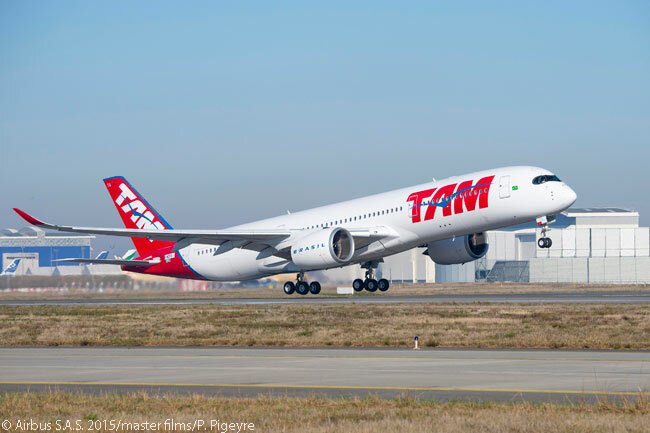 Part of the LATAM Airlines Group along with sister carrier LAN Airlines, TAM will initially offer three São Paulo-New York round-trips each week with A350-900s, later increasing its A350-900 utilization on the service to a daily round-trip. 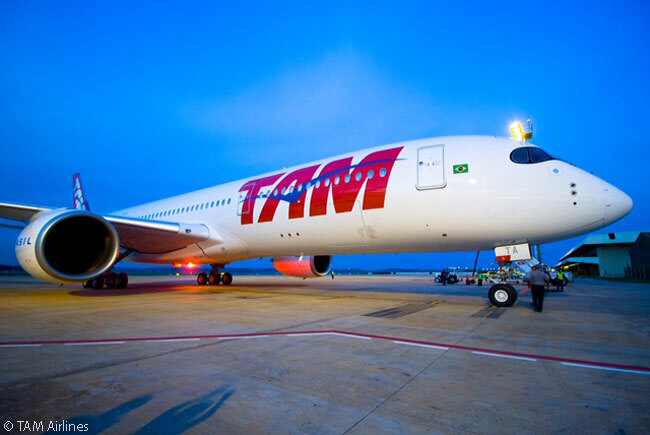 TAM will also operate A350-900s from Orlando International Airport to São Paulo Guarulhos from July. “Being able to offer service on comfortable, modern and efficient aircraft like the new A350 XWB ensures that we are offering a competitive and attractive option to travelers flying from New York to Brazil with connections available to the rest of South America,” says Pablo Chiozza, senior vice president, USA, Canada and Caribbean for LATAM Airlines Group. Each of TAM’s A350-900s will have 348 passenger seats, 318 in Economy Class and 30 in Premium Business Class, the latter seats reclining 180 degrees to become full flat beds. The aircraft will have the new look and feel for widebody international cabins for LATAM Airlines, the new name announced for TAM and its fellow LATAM Airlines Group carrier LAN in late 2015. TAM’s fourth A350-900, planned for delivery in June, will have a new, third cabin class, Economy Plus, offering more legroom between seats. The aircraft will offer 30 seats in Premium Business class, 63 in Economy Plus and 246 in Economy Class. TAM is the fourth airline to receive and operate Airbus A350 XWBs. The carrier has ordered 27 A350 XWBs, all of which are scheduled for delivery by 2021. In 2016, TAM expects to take delivery of six A350-900s. Last year, LATAM Airlines Group changed its purchase agreements for 12 A350-900s to specify A350-1000s instead, desiring the stretched model’s greater passenger capacity. © AirlinesandDestinations 2017. All Rights Reserved.